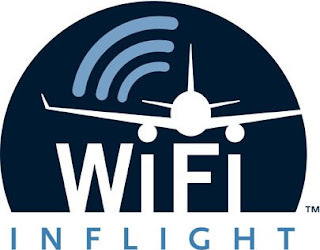 HOW DOES THE WIFI WORKS IN AEROPLANESHOW DOES IT WORKS.? 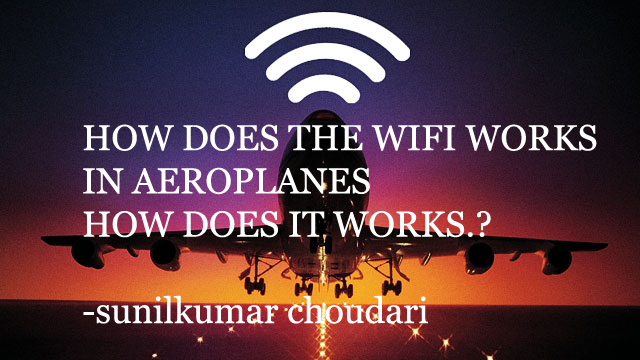 Have you ever wondered how actually the Wi-Fi in an airplane works? Traveling in the airplane has been a phone-free zone for a lot of years. We have to turn off our electronic devices and rely instead on movies and in-flight magazines for fun. But times have changed. Airplanes have tried to make flying a little more enjoyable by offering us in-flight wireless internet, but have you ever wondered how exactly does Wi-Fi work when you are on an airplane? When Wi-Fi first became a thing in the airplane in the early to mid-2000s, it usually worked by transmitting an internet connection to a transponder attached to the plane using satellites, similar to how folks in rural areas without cable DSL or fiber infrastructure use satellite dishes to get online. Even in the present days, those old systems are still in use. There is a system named air-to-ground transmission or also called as ATG. These are similar to cell phone towers. These have the benefit of being a cheaper than satellite internet, but they work over land, and there are few disadvantages not only do these towers suffer from geographical restrictions, but the service they provide can be painfully slow as anyone who’s ever tried to stream anything on a plane probably knows. the atg systems don’t offer speeds that are high. the speed would be somewhere around five megabytes per second, but the satellite internet is faster with speeds of up to 50 megabytes per second. there are ku band, the same range of spectrum used to be satellite tv which we use in our house. with many people flying on airliner, a 50 megabytes connection can be very slow if lots of passengers are connected at the same time. the tech we have available requires airlines to get large antennas onto their planes these will be heavy enough to have a heavy effect on the plane’s weight and aerodynamics which leads to higher fuel costs that are passed along to you. nowadays, major air carriers are now starting to install cob ka-band satellite antennas which have the potential due to their higher bandwidth to reach hundreds of megabytes per second, enough for streaming even on a full plane where lots of people are trying to connect.